Fleece available in 3 colors: black, olive green and black/olive green. High quality Helikon Classic Army fleece combines the advantages that give it a universal character. For the amateurs of functional outerwear, we provide a wide range of fleece sweatshirts from this collection. Their main strengths will certainly be appreciated not only among lovers of clothes inspired by military style. 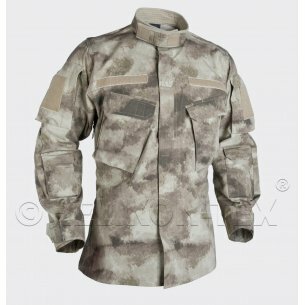 Durable military clothing should be made of strong material resistant to abrasion. From this angle, a great choice is men's fleece from the Helikon Classic Army collection, which uses a reliable material - polyester. 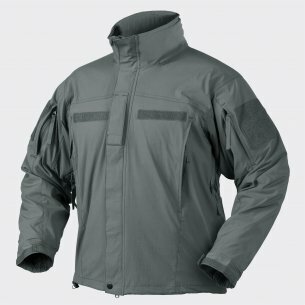 The manufacturer took into account the needs of physically active people, demanding the best durability from outerwear. For this purpose, he decided on additional reinforcements in strategic places, ie on the shoulders and elbows. As a result, this practical men's fleece is not worn even when used intensively and thus maintains aesthetic appearance for a long time. Polar fleece from the Helikon Classic Army collection perfectly adapts to the figure, but at the same time does not cause the impression of unpleasant pressure of the body. Of course, the most important is choosing the right size. Our military store offers polarites in the most popular sizes (S, M, L, XL), as well as less common ones (XS or 3XL). The manufacturer has used practical pullers in blouses, which are found in the flanges, sleeves and bottom. With their help, you can easily adjust the width of clothing in strategic places. In practice, the Helikon Tex fleece from this collection ensures the comfort of wearing not only during a walk, but also during much more intense physical exercise. It should be noted that the sweatshirt does not constitute a burden for the user in terms of severity. Polyester material provides it with a very light weight, which additionally affects the sense of comfort. Zipped fleece sweatshirts are a very practical solution for those seeking outerwear adapted to different weather conditions. Comfortable clothing from the Helikon Classic Army collection is a perfect confirmation of this thesis. Available fleece models are zipped, which allows you to quickly adjust clothing to changing aura. On warmer days, just drop the unbuttoned t-shirt or simply tuck it around the waist. In autumn and winter, you can safely wear a military fleece as a jacket. In cold weather, it is best to treat the blouse as an additional warming layer put under the outer garment. The fleece material is perfect for the wind, helping to maintain the body temperature. In this respect, it is also worth paying attention to the castle itself, which has been equipped with a thermal strip. 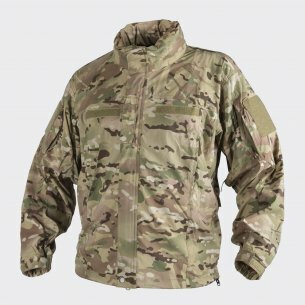 The Polar Helikon Classic Army perfectly insulates from the cold, which is why it is an excellent choice for a day out in the mountains or training during inclement weather. Military clothing does not have to be limited only to survival expeditions - it is worth to wear it on a daily basis, if only because of the comfort of use. Helikon Tex Classic Army is a collection of military fleets, which are not only very comfortable, but also perfectly fit into the latest trends. It can be easily combined with casual clothing items or sportswear. It's worth taking a look at the attractive range of available shirts. You can find the Helikon Classic Army men's fleece in green, black or graphite colors. An interesting proposal is a two-color model in which the green tint combines with contrasting, black inserts in the upper part. Available color options are universal, which additionally facilitates matching them to other styling elements. 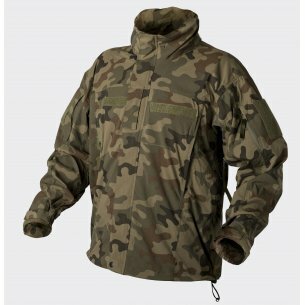 At the same time, each fleece has a camouflage character and works great in the field. The Helikon Classic Army fleece collection has been designed to the smallest detail, as evidenced by the presence of strategically located pockets. They are very capacious, which allows you to hide handheld items in them. Thanks to the practical zipper fasteners, you can effectively protect their contents. A single pocket is located on the left sleeve and on the chest, and two pockets are located at the bottom. All this makes the Helikon Tex Classic Army fleece fit the expectations of people looking for multifunctional outerwear.